There are many reasons why I love Changi Airport. One of the reasons is that the airport always has something special to delight my kid during the school holidays. 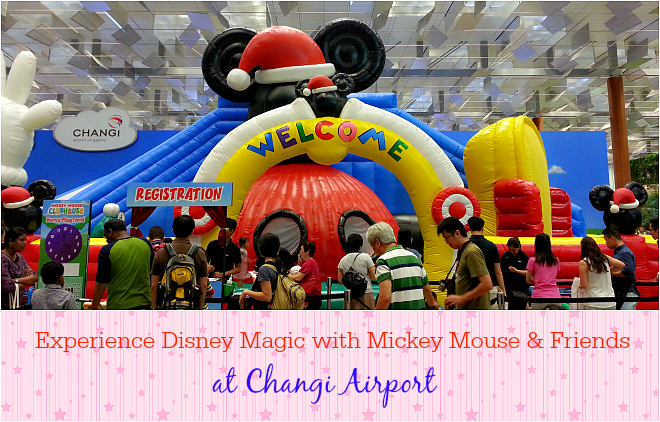 Together with its annual year-end celebrations, Changi Aiport once again brings happiness to all its visitors with the company of Mickey Mouse and Friends! 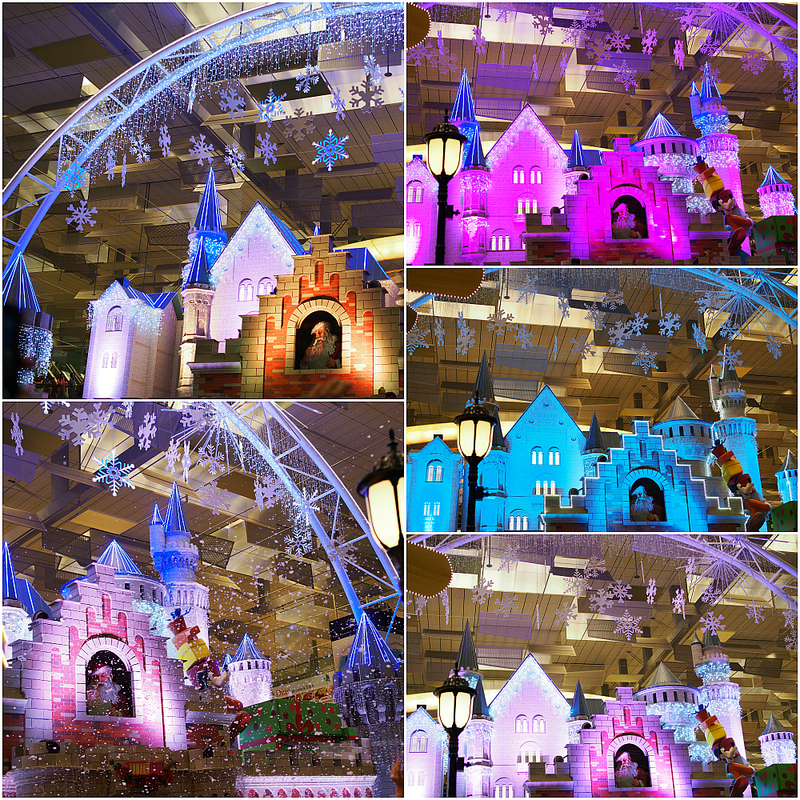 From 14 November 2014 to 5 January 2015, Changi Airport transforms into a magical holiday wonderland with an elaborate Disney-themed set-up. Visitors will also be treated to fun-filled activities, festive performances, captivating decorations as well as dazzling displays. This castle is an inspiration for the original Cinderella and Sleeping Beauty Castles that are featured in Disney theme parks and movies. 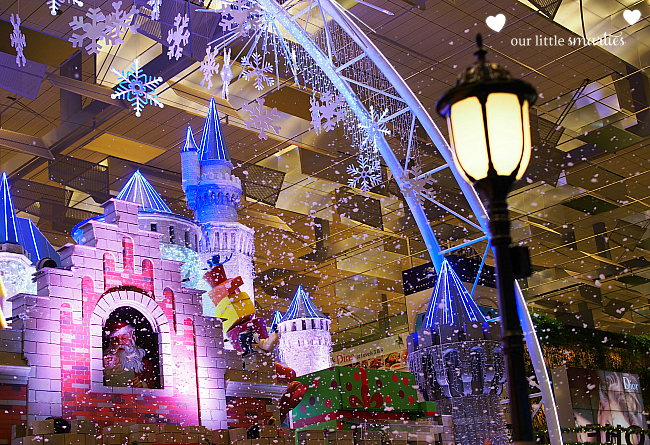 Changi Airport tops it off with a magical touch – by making it snow within the terminal. Yes, its snow! The kids were bustling with laughter and excitement the moment they experienced snowing in the airport. 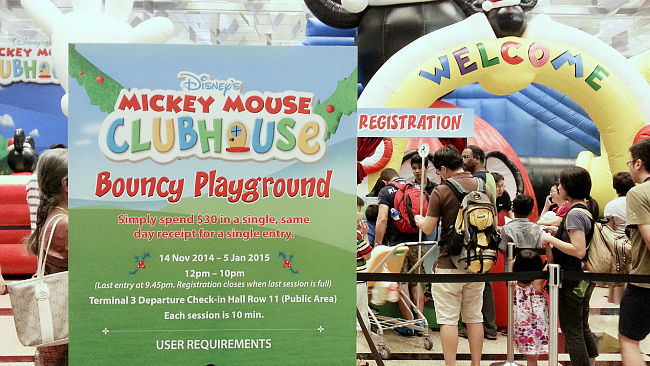 The festive cheers continue at the Mickey Mouse House Bouncy Playground. It’s located at Terminal 3 Departure Hall. Let’s have fun cruising down the three-metre high slide, bouncing off sticky Velcro walls and diving into the colourful ball pit. 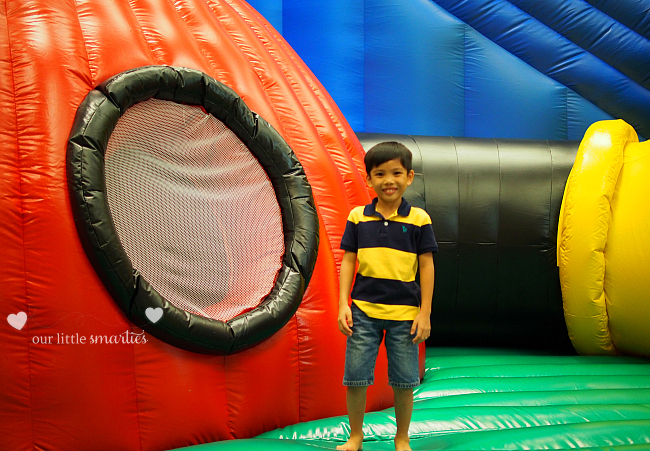 The bouncy playground opens daily from 12pm to 10pm. To enter, simply present any same-day receipt with a minimum spend of $30 (for a single entry). There are also stage performances on weekends from 6:30pm to 7pm. 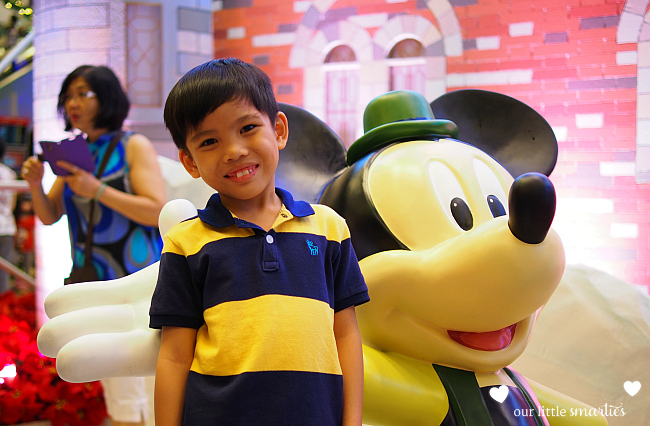 Now, we can capture memorable moments with Mickey and Minnie Mouse during this meet-and-greet session at Changi Airport. Children will certainly be entertained by the interactive storytelling and stage performances too. Visit Changi Airport website at www.changiairport.com/christmas2014 for more details.